Eddie: How many of us know what it is to become the perfect version of ourselves? Limitless is based around the notion of a myth and a “what if” question. The myth involves the idea that people only use about 10% of their brains. This film asks the question – "what if" you could take a pill that would open up the rest of your mind. 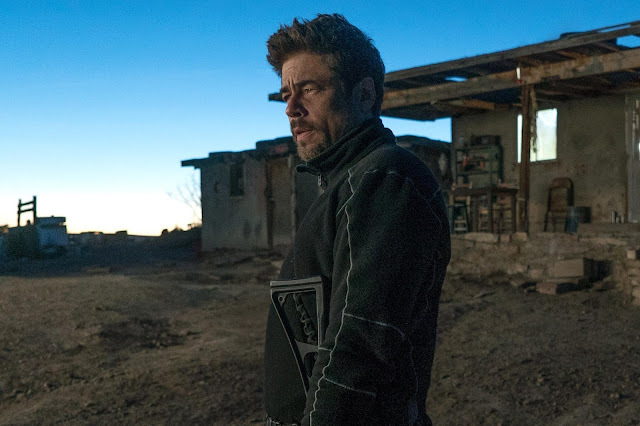 What follows is a story that begins fairly interestingly, only to turn into a trashy thriller midway through. 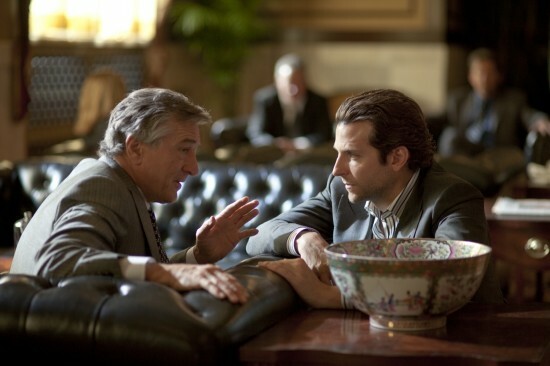 Fortunately, it is benefited by a capable and fun lead performance by Bradley Cooper, some stylish direction, and the puzzling presence of Robert De Niro. In addition, I was not necessarily surprised by this film, but it did help that it was taken to places that were unpredictably extreme. Who knew that being super smart could lead to so much violence? 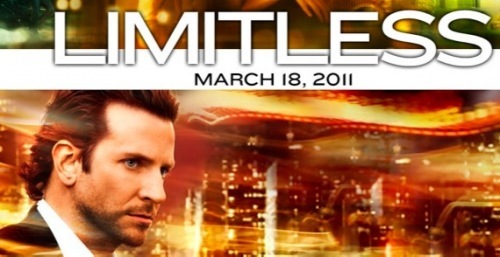 Bradley Cooper stars as Eddie Morra, a struggling writer, living in New York. Morra is so unfocused and scrappy looking, that his girlfriend Lindy (Abbie Cornish) dumps him. Now distraught, unfocused, and still scrappy looking, Eddie’s life soon takes a turn for the better, or so it would seem, as he happens to run into his ex-brother-in-law. For no apparent reason, the brother-in-law offers Eddie a free drug that will supposedly open up his mind (basically make him super smart). The drug, known as NZT, only lasts for a day, but this one hit makes Eddie an addict quickly, as he is able to quickly produce his book, clean up his apartment, and look less scrappy. When Eddie tries to get more NZT, he finds that his supplier has been murdered. Eddie somehow manages to find the one spot that the murderers couldn’t, and secures an entire stash of NZT for himself. Soon, Eddie ditches the writing game in favor of something more financially lucrative. He eventually partners up with business mogul Carl Van Loon (Robert De Niro), who sees Eddie as a potential tool to make lots of money. All seems well until side effects start to effect Eddie’s functions, not to mention the presence of some other nefarious individuals who begin to follow him around. 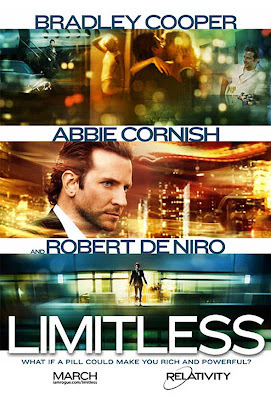 When I first heard about the premise of Limitless, I knew I had already basically seen it before. While the plot has a loose connection to the story Flowers for Algernon, I actually found that it resembled an episode of The Simpsons, where Homer has a crayon removed from his brain and suddenly becomes super smart (I have since learned that this was an Emmy winning episode, titled “HOMR”). Besides the thriller element, the difference between this film and that episode is that Homer eventually learns something (first count of irony, related to being super smart) and decides to remain the way he was before by the episode’s end. In the film, Eddie does not seem to learn much of anything (second count), and actually gets into some awful situations, without receiving much comeuppance for his actions. Fortunately, Bradley Cooper is very good in this film. He has taken notes from the Robert Downey Jr. School of smug, but likable jerk, which makes him a fun protagonist to stick with. Not much to say about the other performances, besides the fact that Cooper has good enough chemistry with everyone. However, I will point out Robert De Niro. 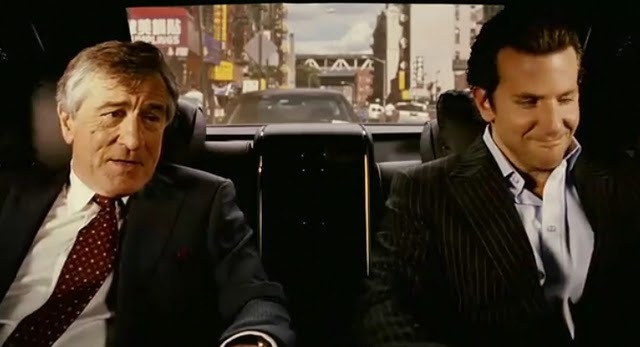 It is kind of perplexing to have De Niro in a film like this (well maybe not these days), but he shows up for a handful of scenes and does everything one would expect from him. Basically he plays a powerful man, with the chance to deliver a pretty great monologue in a De Niro-quality fashion. Is he good in this film? Yes, but he is certainly above the role that is presented for him here. Still, the producers must have gotten a good deal, because his presence certainly lends some class to the film. The plot of this film is not very strong. 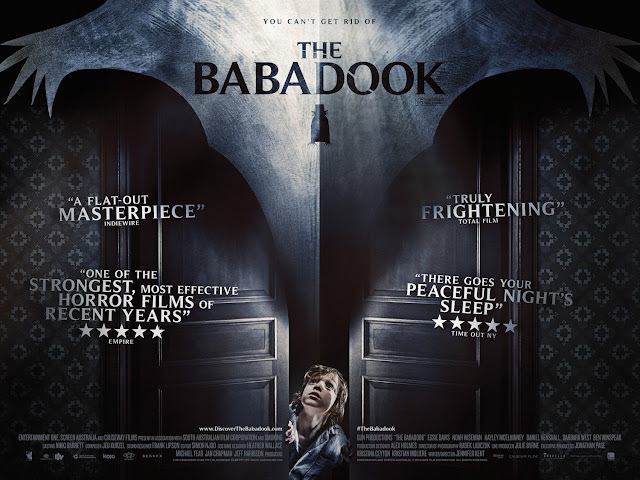 It takes a solid enough concept and presents smart and slickly handled sequences, but halfway through the film, a big plot complication arises, which puts the film down the path of a trashy thriller. All of the interesting places this film could have gone are replaced by familiar beats involving Russian mobsters and Wall Street crooks. A stronger story could have gotten more involved in the actual pill that Eddie is taking. Sure, the side effects become a problem for Eddie, but the actual drug is treated more like a super power plot device, where all problems (whether it be writing, cleaning, or fighting) can be solved. The only thing that saves this story is how far screenwriter Leslie Dixon decides to take it. While the actual plot fits in a standard mold, the thriller elements are taken to an extreme that manages to be unpredictable in the manner that would have one saying, “Oh, he’s not gonna…oh he is!” I have learned that an R-rated version does exist, and when that arrives on Blu-ray/DVD that would probably be the best version of this film to see. From a direction standpoint, Neil Burger does a solid job. One of Burger’s previous directorial efforts was 2006’s The Illusionist (the Edward Norton film), which I recall having interesting cinematography, given the period. 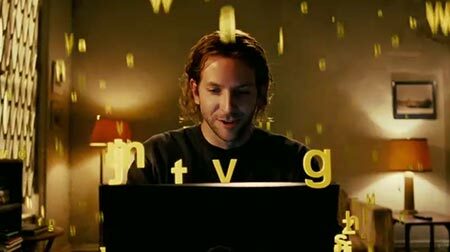 Limitless manages to make the concept of becoming much smarter in an instant visually interesting. Watching Eddie multitask, seeing multiple versions of him, as he pulls off a number of tasks at a time, all in the same shot, I was certainly engaged and understanding of what was being communicated to me. Also neat was the work on watching the side effects of the drug take hold of Eddie. As he spirals into unhealthiness, the film has fun going there visually. There are many disorienting camera zooms, which incorporate themselves well into the film. 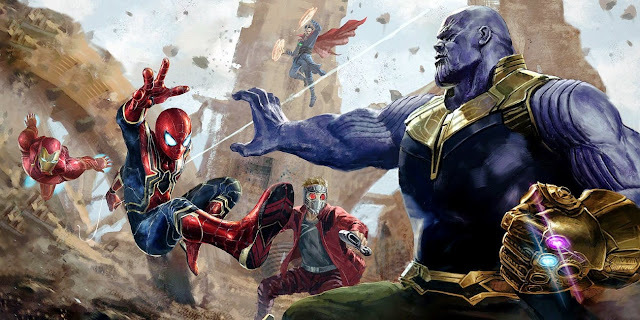 The film does feel a bit padded in the middle and the end really tests your suspension of disbelief, but overall, it is assembled well enough to entertain. 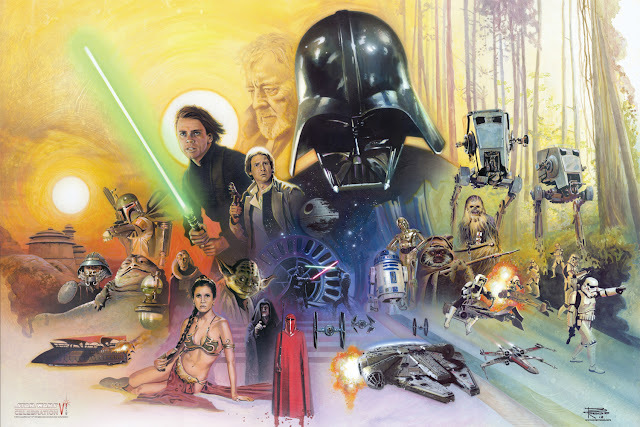 I have basically come right down the middle on this film. 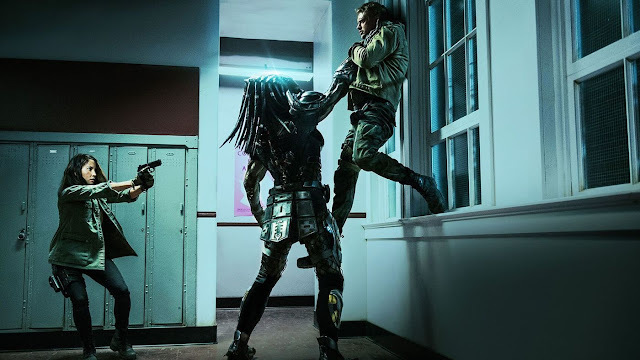 I am going to recommend it overall, as I think it’s a very fun thriller to watch, but that recommendation must be taken with a grain of salt, as there are some pretty big problems to look over (at this point, I am considering one of them a plot hole). I still also wish more interesting ideas involving a smart pill were explored, but the (fairly violent for PG-13) thriller elements at least kept the film engaging throughout. Really, the film thrives based on Bradley Cooper’s performance. I think he is proving himself as a capable lead actor, which I find to be pretty entertaining in itself, as he has come far from his role as “Sack” in Wedding Crashers. And of course, a little De Niro can go a long way too. Carl: So you do know you’re a freak. What’s your secret?